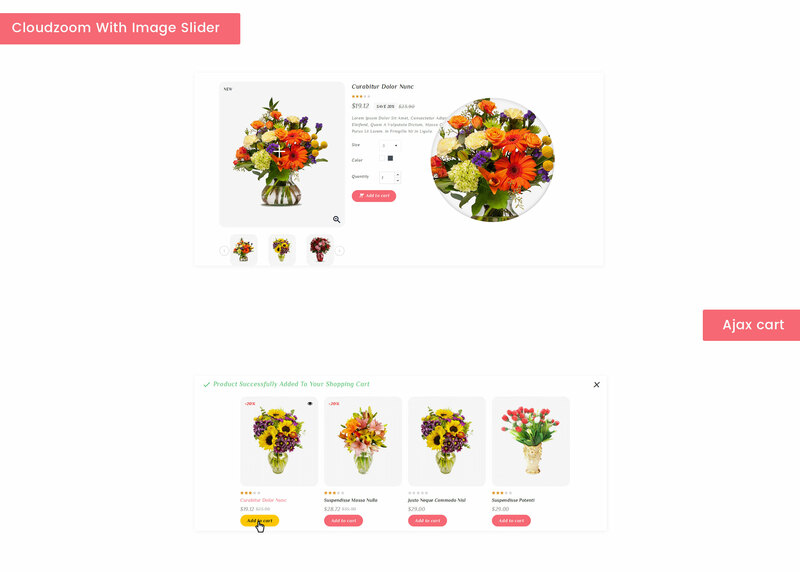 Blossom theme is professional minimalist responsive prestashop theme built to create modern powerful e-commerce web site. 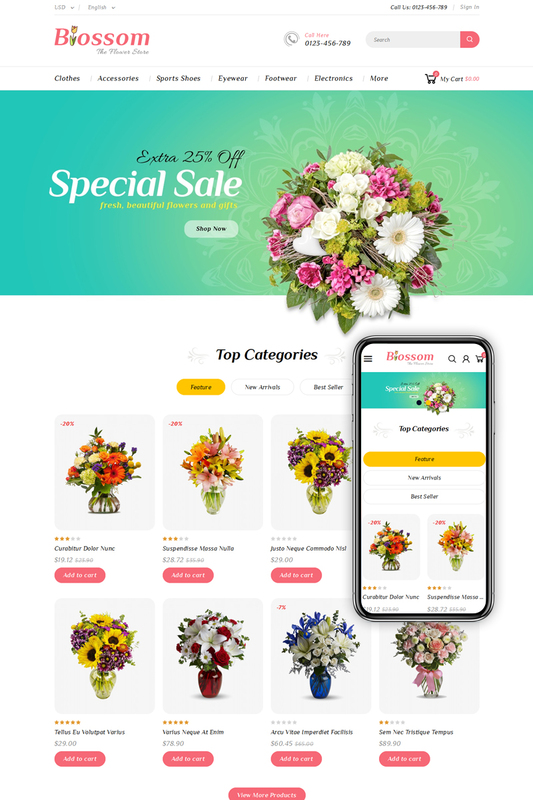 Blossom theme enables you to reach the widest customers base, with a multipurpose and responsive layout that performs seamlessly across mobiles size, tablets and other devices screen size. 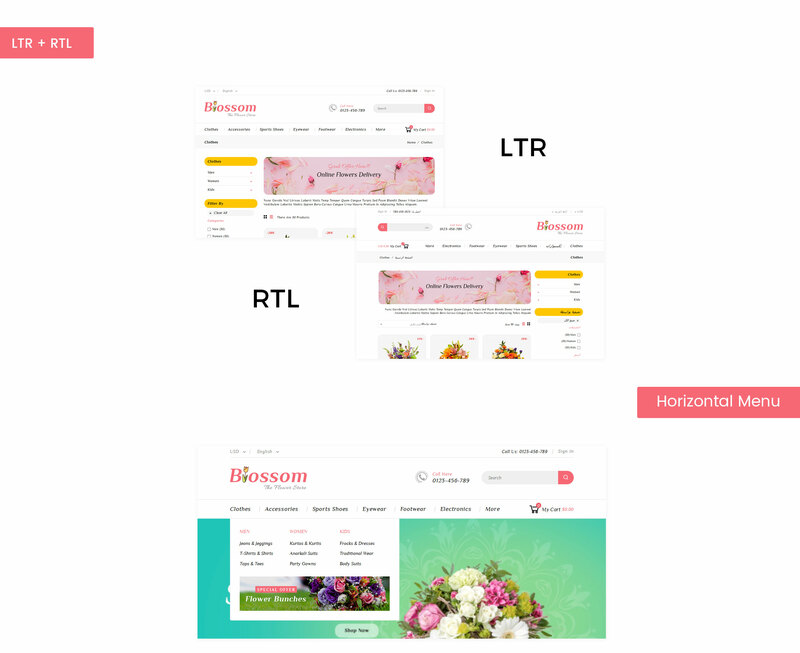 Blossom theme has a bundle of functioning features of a modern template for multipurpose store website and supported latest version of Prestashop 1.7.5.x with added One-Click (Quick Start) package to get a replication of our theme demo site on your website with same demo content, graphics, theme settings & layouts.